The fastest way to get from this airport to the center of Moscow is the Aeroexpress train, which has a station right in the airport building. With no traffic on the way, you’ll arrive at the Paveletskaya train station in 45 minutes, and from there you can get on the metro (Circle line), from which it’s convenient to go anywhere in the city. The first train leaves Domodedovo at 5:15 a.m., and the last departs 12:30 a.m. Tickets on the Aeroexpress go for 500 rubles ($8) at the ticket office and 420 rubles ($6.7) online. You can buy tickets in advance via the website aeroexpress.ru, or download the app. An elektrichkafrom the airport is your unique chance to feel the atmosphere of Russia’s suburban train culture, almost how Veniamin Yerofeyev depicted it in his book, Moscow-Petushki. The travel time is longer than with Aeroexpress – about 1 hour and 10 minutes, but the price is much lower: 110 rubles ($1.7). You can check the schedule here www.central-ppk.ru. Bus is a cheaper way to get to Moscow but you never know how heavy traffic might be. Another disadvantage is that the bus only goes to a metro station at the end of the line, near the city limits, so you’ll need another 30 minutes to reach the city center. Bus No. 308, or marshrutka mini bus No 308, costs 120 rubles ($2) and $1 for luggage. The bus runs from 6 a.m. to 12:00 a.m. at 30-minute intervals, and from 12 a.m. to 6 a.m. at 40-minute intervals. Travel time is around 30-40 minutes. There is also a bus connecting Domodedovo with Kolomna, Lukhovitsy and Ryazan for 400-600 rubles ($6-10). Maximum travel time is 3.5 hours and the bus runs five times a day (at 8 a.m., 12 p.m., 4 p.m., 8 p.m. and 1 a.m.). The last two are available for booking in advance, but there are usually many cars in the vicinity of the airport that’ll pick you up in 5-10 minutes. When you arrive at the airport you can get online with free WiFi in the terminal and book a car. They’ll probably ask you to call after passing through border control because waiting in front of the airport is free only for the first 15 minutes, and then it’s quite expensive. 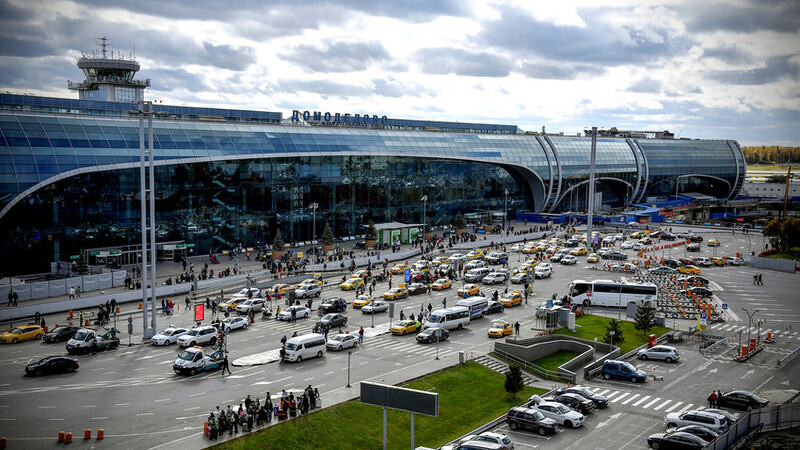 Several car-sharing companies are available at Domodedovo. You need an ID, driver’s license, credit card and a smartphone. You’ll need to sign a contract with a company in order to access its vehicle (you can also do this online). The leading companies are: Delimobil (click here to find more about access at the airport); Yandex Drive (available in English on Google Play); and BelkaCar (works only in Russian). You should download an app in advance to find the nearest car. All major car rental companies can be found at Domodedovo: Sixt, Europcar, Avis, and Rentalcars. You can rent a car online or by visiting the rental office. Booking in advance doesn’t influence the price much but it does provide a greater choice of car models. Arriving at another airport? Find out how to get from Sheremetyevo (SVO) and Vnukovo (VKO)to central Moscow.